Held in conjunction with the 2007 IFBB Australian Grand Prix event and was the forerunner of the hugely popular Arnold Amateur Championships. 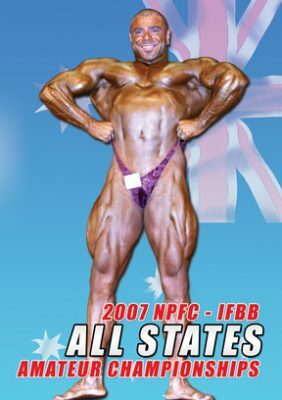 The 2007 NPCF-IFBB was held in conjunction with the 2007 IFBB Australian Grand Prix event. It was the forerunner of the hugely popular Arnold Amateur Championships.